Information and Communication Technologies (ICTs) might sound like words which should be confined to the laboratories of computer nerds and tech-savvy geeks. Yet their impact on the ground to transform lives and communities is nowhere better illustrated than by looking into the subject of health. Audrey Shangala, a pregnant mother of three girls, has been standing outside the Nambala Rural Health Centre since the morning to attend an antenatal clinic and have her blood pressure tested. Now early afternoon, she explains: “One nurse is asleep as she has been working all night. Sometimes we wait until 16.00.” For a heavily pregnant woman, waiting at the clinic all day for a check up is stressful and tiring. Yet if the clinic could communicate with Audrey to reschedule an appointment, she could have saved herself the time, money and effort she has invested in her visit. “I had a mobile phone but I gave it to my daughter because she has gone to school,” she explained. “Sometimes I go to my neighbour’s house as they have a mobile phone to talk to her,” she said. 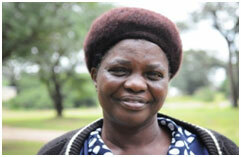 A farmer, she has prioritised buying a mobile phone with the money that she has made on her maize harvest. “It is important to have a phone so that I can communicate with my family when there are emergencies,” she said. “I think if everyone had a phone then at night in the bush when there are wild animals outside, you could communicate, rather than waiting until morning when sometimes it is too late,” she added. Inside the two small rooms of the Nambala Basic Health Centre, the local doctor Shadrick Sichilindi stitches up a small girl’s hand as she sits quietly on a table. He finishes his work and then talks about some of the challenges at the rural clinic. “We only have one ambulance for the district,” he said. “We use mobile phones; we have a radio but it is not working. We would appreciate different networks in this area so we can have a choice over different services and costs,” he said. “In my office I would like to see a computer connected to the internet,” he added. “If we had better technology we would be able to sensitise the community on wider health issues. Knowledge is power – if I have the latest information I could better educate the community on subjects such as preventing HIV or sanitation, and have a bigger impact in terms of improving health care. That will also increase the communities’ trust in our services because we will be more up to date,” he noted. 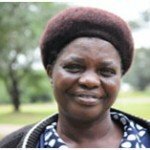 Further west in the Kafue National Park, in the small community of Chunga National Park, Mrs Fatness Tembo is a commanding figure, who sets to work with great gusto for healing – and she needs it. 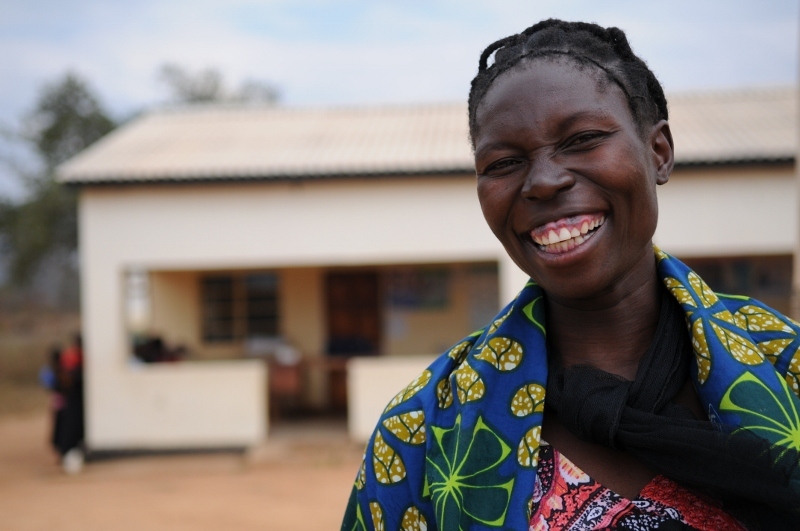 There is only one rural health clinic staffed by a handful of nurses and doctors and she is one of the few enrolled nurses and midwifes at the clinic. 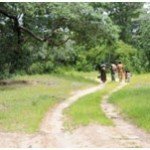 Servicing the relatively low population of roughly 800 people, Chunga Camp has no communication ability – there are radios, but they do not work. 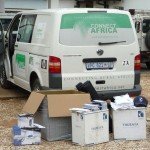 At times, the local wildlife authority (Zambia Wildlife Authority) will provide a vehicle during emergencies, but this means diverting transport from its original purpose of scouting wildlife and surveying the national park. Complex and emergency treatment is almost impossible to carry out at the small clinic and there is no regular electric, water, gas, mobile or land-line phone service. Without the means to communicate and access better facilities, emergency and urgent help is almost impossible. In a study undertaken at this clinic by Connect Africa and partnering health provide CHAMP, everybody interviewed wanted ‘network’ communications first and foremost among all the topics discussed. Ian Mcfaden, Connect Africa Chairman, lives in a rural community and understands the challenges that rural circumstances pose. “The way I see it, education is one of the three fundamentals to improving life for people. The others are health and job opportunities. The fact that ICTs can be put into these areas really helps the prospects of those communities in the longer run. Doing this will help develop the rural prospects of poor people across Africa,” he said. 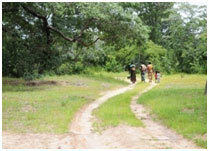 Communication is a catalyst for change – especially deep in the rural bush. ICTs can make it happen.